The Centre for Health Policy Visiting Health Economic Scholars Program is now open to applicants interested in the economic evaluation and outcome valuation of genomic technologies. The purpose of this program is primarily to assist early career health economic researchers (i.e. 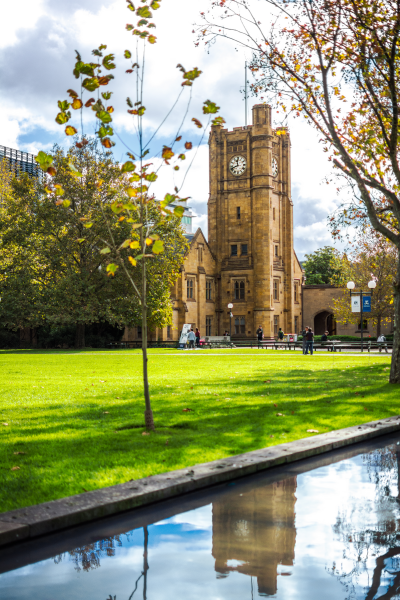 Post Docs and PhD students who are in the latter stages of their degree) to spend time at the Centre for Health Policy (CHP), University of Melbourne, Australia. CHP has a very active Health Economics Unit which undertakes and publishes research on a diverse range of topics in health economics including: economic evaluation; child health; genomics; health inequalities; methods for improving data collection and survey design; history of health economics and health policy. More information on our research can be found on the Health Economics Unit website. Visiting scholars can both propose their own research activities in the context of genomics or seek to collaborate with our researchers on Australian Genomics projects (e.g. economic evaluation, welfarist and extra-welfarist outcome measurement and valuation, discrete choice experiments). For informal discussion on potential project collaborations please contact Dr Ilias Goranitis (ilias.goranitis@unimelb.edu.au). The scholar will be expected to give a seminar during their stay. The program will assist the scholar by providing accommodation and part board for a period of one month in a residential college such as Graduate House, or receive equivalent funding of up to $2000AUD for non-residential accommodation. Accommodation at Graduate House is typically available during semester breaks in June/ July, or December/ January, but maybe available at other times of the year. CHP will provide research space and other facilities during the scholar’s stay, and part of international travel expenses will be reimbursed. We are open to receiving proposals for longer or shorter stays (minimum two weeks), or from more senior researchers, but cannot guarantee additional funding will be provided. The program does not cover any other costs (i.e. other living expenses, or visas if required), nor does it provide any type of salary support. The program is open to both Australian and international health economic researchers. A current CV listing all publications. Reprints (pdf documents) of up to three articles that you would consider to be the best example(s) of your work (i.e. articles for which you are primary author). Brief (300 words) research proposal in which you indicate either the work program that you intend to undertake during your visit, and/or potential topics you would be open to collaborating with CHP staff. Brief statement of your future career plans. Please indicate if you are interested in future Post-Doc, or employment opportunities at CHP, University of Melbourne, Australia (up to 150 words). Note that many Australian funding schemes have restricted eligibility criteria (e.g. NHMRC Early Career Fellowships), so if you are intending to apply for such a scheme you should indicate your eligibility. Applications should be sent via email to health-economics@unimelb.edu.au. The subject of line of the email should contain “VISITING SCHOLARS PROGRAM: APPLICATION as well as the proposed month of visit (if known)”. Applications will be considered by the 30th of June in the first instance. Expressions of interest, however, can be received throughout the year and will be assessed periodically. For informal enquiries, please contact Dr Ilias Goranitis (ilias.goranitis@unimelb.edu.au).